Despite my professed love for Hong Kong cinema, sometimes a movie slips through the cracks. 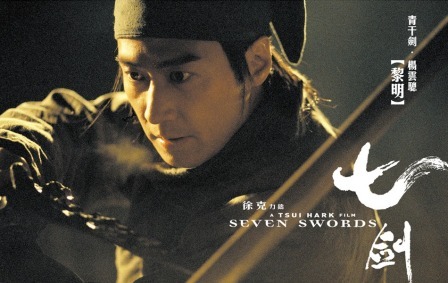 For some odd reason, I never got around to watching Tsui Hark’s 2005 wuxia epic, Seven Swords, even though I’ve owned the movie since it was first released on DVD quite a few years ago. I gave the movie a try one weekend when I lived in Hawaii, but I seem to remember being somehow vaguely put off by the look of the film (or, more likely, the running time of 2.5 hours when I had a master’s project to finish) and moved on to other Hong Kong movies that had captured my interest in a way Seven Swords didn’t. Recently, I had a chance to finally watch Seven Swords, and in retrospect, I wish I hadn’t waited so long, as Hark delivers a mostly entertaining, if overstuffed swordplay epic. It’s not one of Tsui’s best, but it’s a film that’s rousing in small passages, coasting on a handful of intriguing characters and some stellar wuxia iconography that it never quite capitalizes upon. You can read Kozo’s full critique of the film here, while I share my thoughts below. A Better Tomorrow III: Love and Death in Saigon isn’t a bad film, but as a true prequel to the first two ABT films, I have to admit it’s a little disappointing. Sure, the “origin story” explaining Mark’s penchant for trenchcoats, sunglasses, and explosive gunplay is pretty interesting, considering that Tsui Hark locates these aspects of the character in an unexpected romantic context. 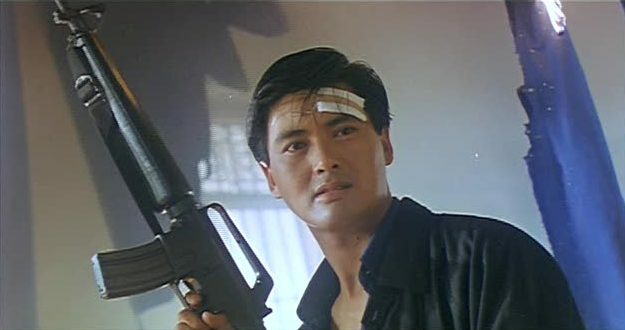 And yeah, Chow Yun-Fat, Anita Mui, and Tony Leung Ka-Fei deliver fine performances. Heck, there’s even some truly poignant moments between Mark (Chow) and Kit (Mui), but overall, the movie seems kind of…well…pointless. Today’s retro review is one my favorite Hong Kong films of all-time — the Tsui Hark-produced, Ching Siu-Tung-directed Swordsman II (1992). Although I’m quite fond of the first film, this winning sequel improves on its predecessor considerably, largely due to a compelling story, great action, and the (mostly) all-new cast. The film stars my favorite actor of the 1990s, Jet Li (replacing Sam Hui), Rosamund Kwan (replacing Cheung Man), and Michelle Reis (replacing Cecillia Yip). By far the biggest addition to the cast is the singular Brigitte Lin Ching-Hsia, who takes on the challenging role of Asia the Invincible, a character who is quite possibly the most memorable villain of 1990s Hong Kong cinema — spawning a sequel of “his” own and a handful of parodies, too. For me, this is a movie of introductions. 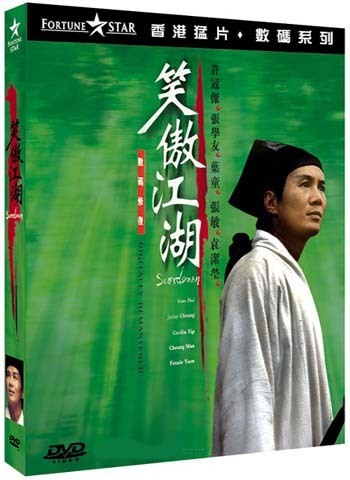 Not only was Swordsman II the very first wuxia film I ever saw, but it was also the first film I’d ever seen to feature a transgendered character. What stands out now nearly twenty years(!) later is the portrayal of Asia, who while remaining a “villain” in the traditional sense is also very human and sympathetic. He/she also happens to possess superhuman powers, badass martial arts skills, and Brigitte Lin’s striking good looks — all qualities that have helped insure the character’s cinematic immortality for some time now. 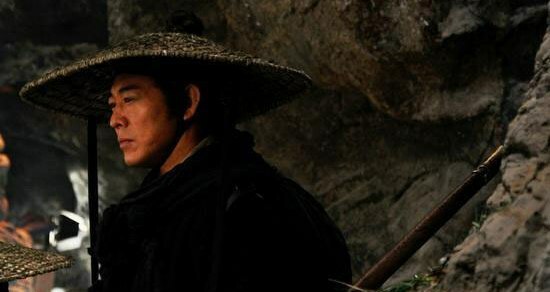 Swordsman II was an early review of mine for LoveHKFilm.com; whatever I lacked in skill or style, I hopefully made up with humor and enthusiasm. 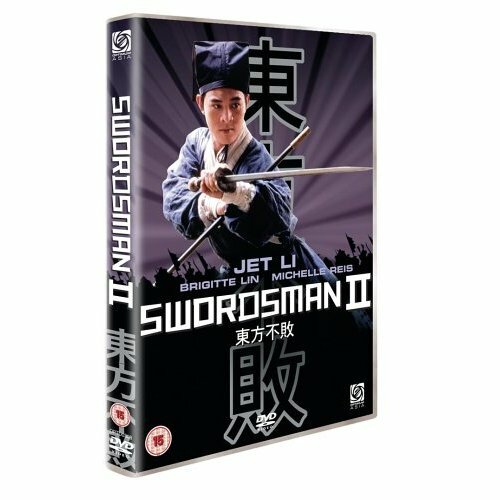 Funnily enough, Swordsman II was the first review I ever wrote to get quoted on a DVD; in this case, Optimum Asia’s UK DVD. At the very least, my parents seemed to get a kick out of it. Anyway, for Hong Kong cinema fans, this is another must-see flick.